The project focused on using available forestry biomass to produce energy. This became possible due to the installation of a biomass heating system that has led to growing independence from external energy suppliers and increased local incomes. A farmers' cooperative, Bioenergie Hitzendorf, operating in Reiteregg (St. Bartholomä), planned to make the transition from using old heating methods (oil heating) to modern ones (bioenergy). 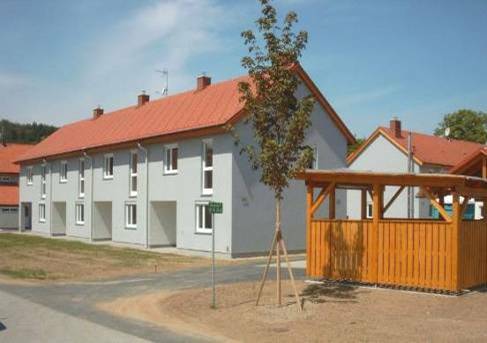 After the mayor of the commune of St. Bartholomä requested assistance in developing environmentally friendly heating solutions, the company started to work on project. A biomass heating system with a connected load of 350 kilowatts was built and supplied by a short supply line. In the central heating system, a biomass boiler with a rated thermal input of 350 kilowatts, which produces the required thermal energy to power the plant, has been installed. The biomass boiler is operational throughout the year. The new heating system has increased energy efficiency and removed dependence on traditional (external) energy supplies. The realisable economic value of local forests has increased as they offer wood, which can now be used for producing fuel.Local economic growth has been encouraged through the provision of heat energy to commercial businesses, public and residential buildings and private clients. The innovative farmers' cooperative from the Hitzendorf region has demonstrated that it is possible to successfully convert from having been solely fuel suppliers to retailers generating renewable energy and additional income.